Separation of areas with different uses, such as a road from a pedestrian zone. Physical or visual delimitation, in which a change of level or from type of paving is necessary, and the delimitation of landscaped areas. Drainage, evacuation or channelling of surface rainwater in built-up areas, individually or in combination with other kerbs. Confinement of paved areas or other surfaces. PREFABRICADOS ALBERDI has different types of concrete paving and kerbs depending on the type of use. 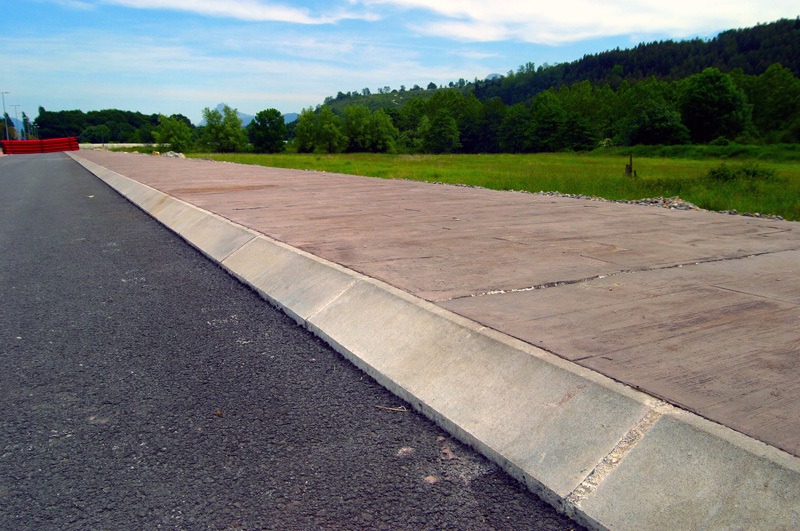 At Prefabricados Alberdi we have also developed concrete paving and kerbs. Contact us to request a quote.